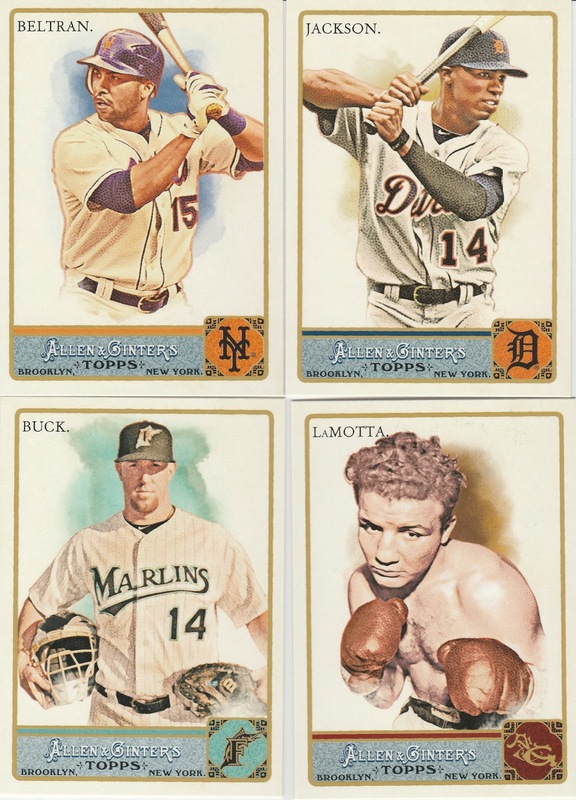 Kevin from The Card Papoy was in charge of the Triple Break, and chose the 2011 Allen & Ginter's set. My favorite kind of parallel, the framed mini, was the big hit for my portion of the break. 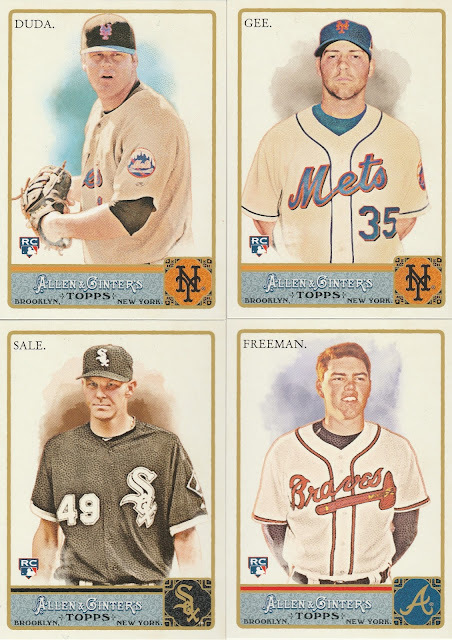 Chris Sale and Freddie Freeman were rookies in the set. I really like the look of the team logos and the brand nameplate. Here's the back - they feature the familiar Allen & Ginter's design of using no numerals, just letters to spell out the stats. 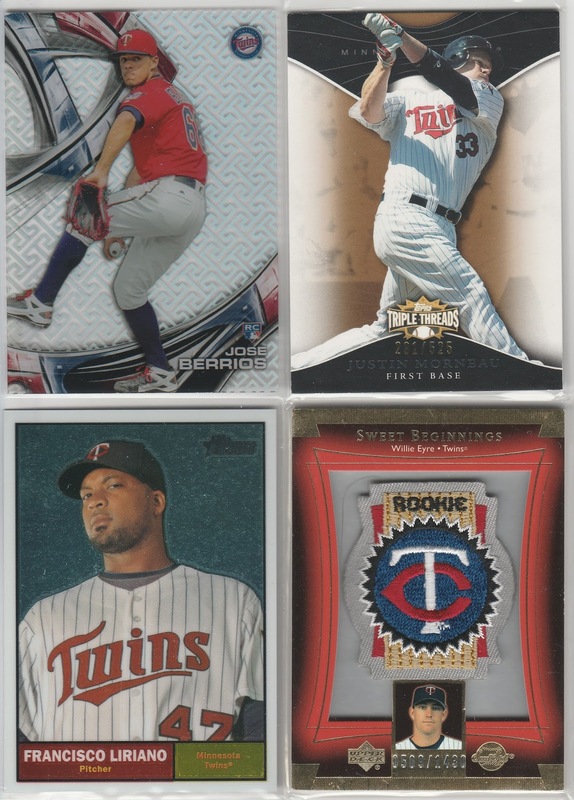 A handful of interesting cards from the set. 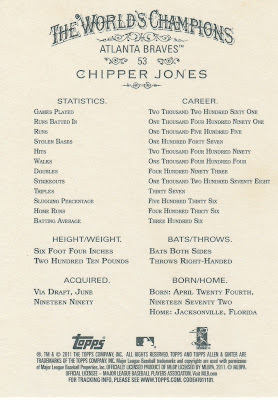 There were lots of non-baseball cards, Kevin split those up at random. I think I'm keeping Jake LaMotta, but I will probably put up another trade bait post next week for folks to call dibs on anything they might want for set building. 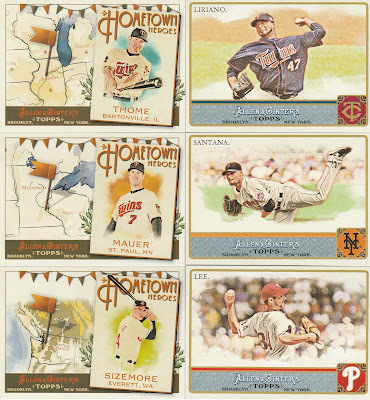 "Hometown Heroes" is the main baseball insert, nice to have a couple Twins in the set. 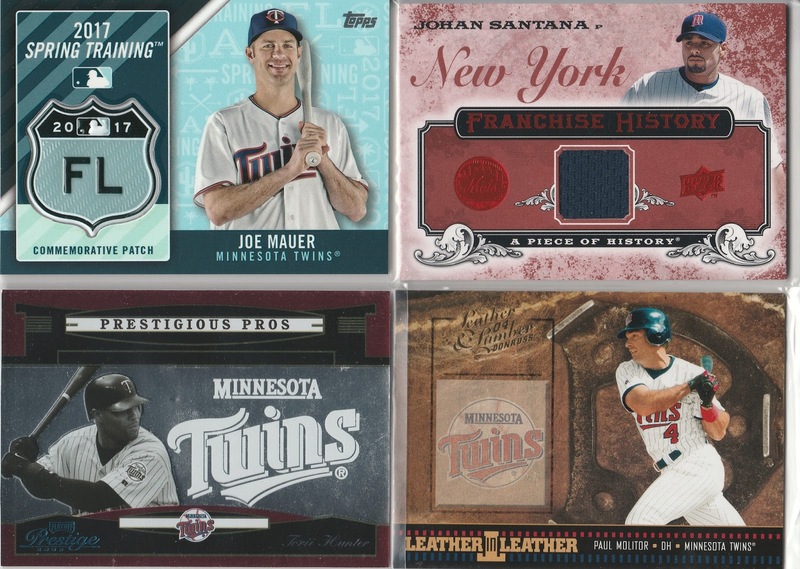 Speaking of Twins, Kevin also sent over some #SuperTrader material, with serial numbered goodness. 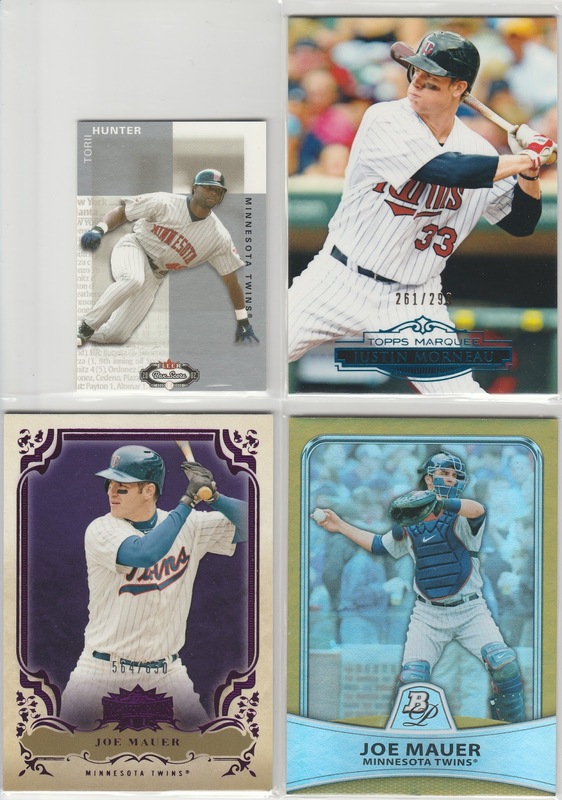 I've made it up to the letter M in sorting all my Twins, That letter has more cards than any other letter, especially with Mauer and Morneau cards being so plentiful in my collection. 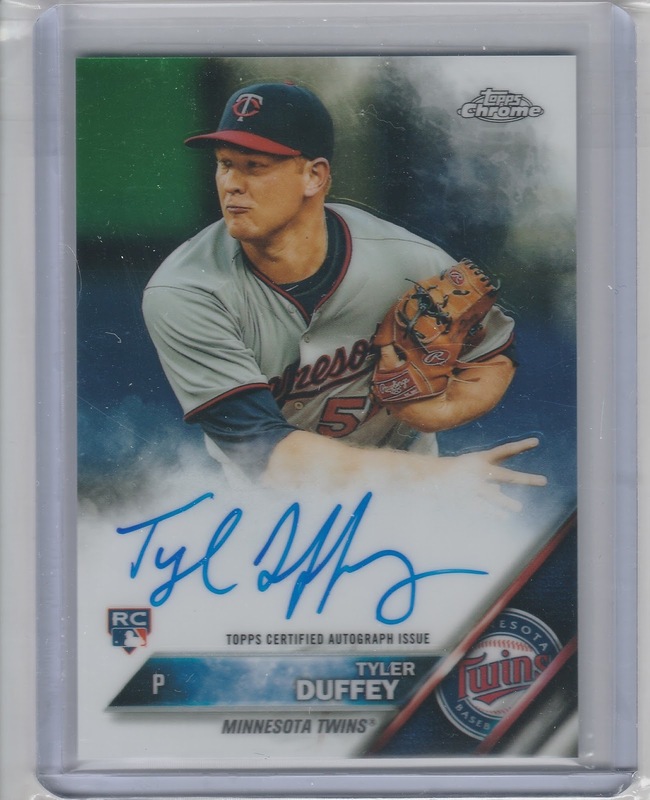 (which is supposed to be the same blue as Brooklyn Dodger Blue - the Orange on Mets jerseys were borrowed from the NY Giants), so I count this as a Twins card. 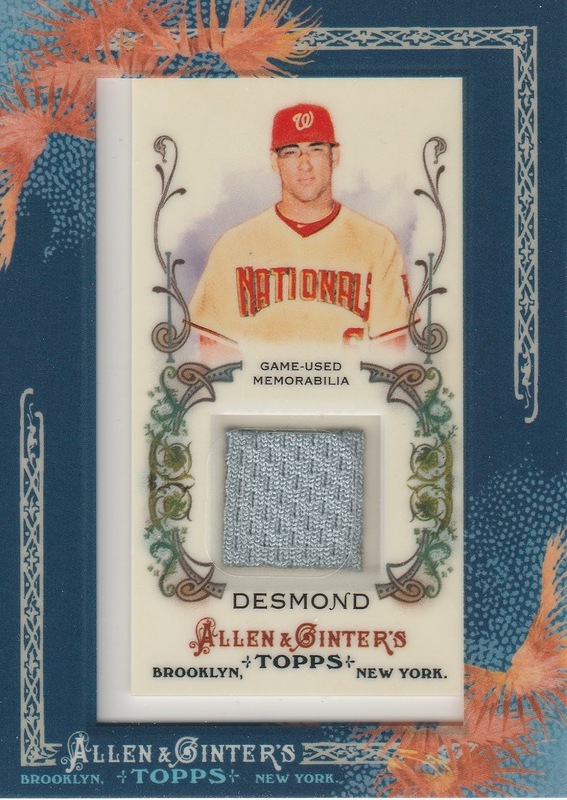 And just in time for the holiday, Kevin included this "Memorial Day" Jersey swatch from ByungHo Park. 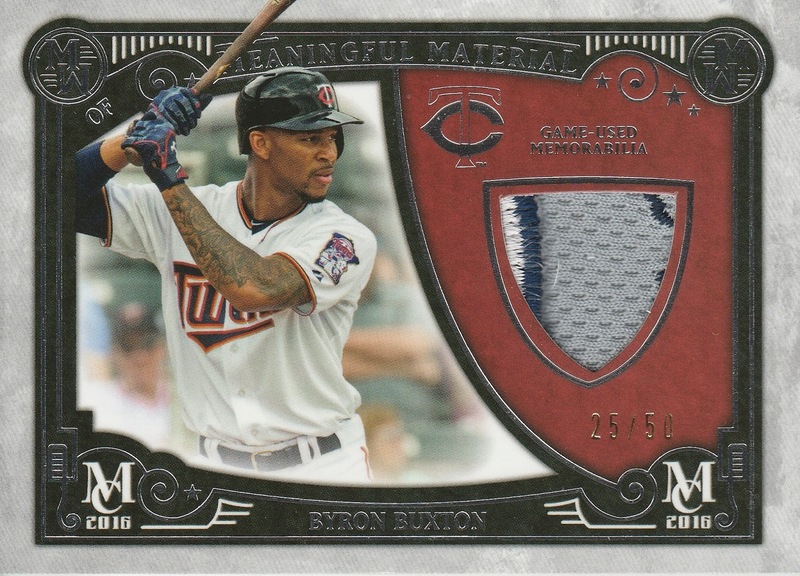 The Twins did not play on Memorial Day 2016, so this swatch is probably from another day during the 2016 season, Park's only in the majors to date. He's battled a hamstring injury this season, and is hitting .228 with 3 homers in AAA. Thanks again Kevin for another fantastic Triple Break! 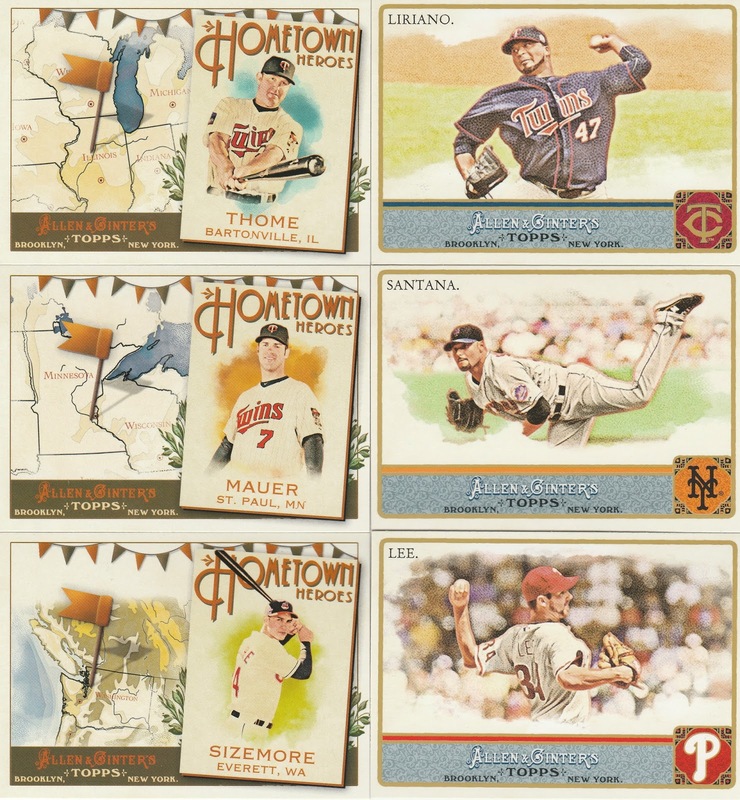 It'll be my turn to pick a box to break, and I'm eyeing some Topps Heritage from the late 2000s - more to come!